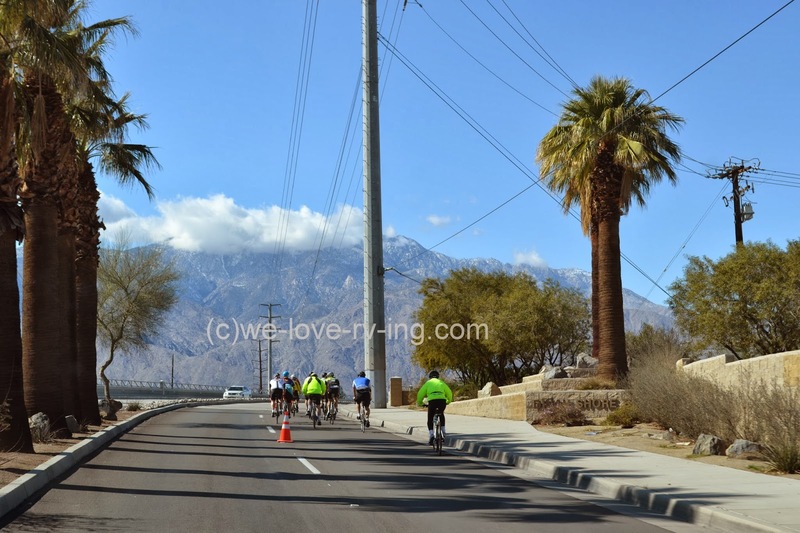 The Tour de Palm Springs brings thousands of riders to the Coachella Valley to participate and help raise funds for the many charities that benefit from this yearly event. The generosity and hard work by those involved is shown in many ways and this allows great things to happen for their chosen charities. Tim Esser, a local resident, held the first bike ride in 1998 with 400 participants and raised over $20,000.00. It wasn’t long before he formed a non-profit organization called CVSPIN, for Coachella Valley Serves People in Need that has been raising funds ever since then. 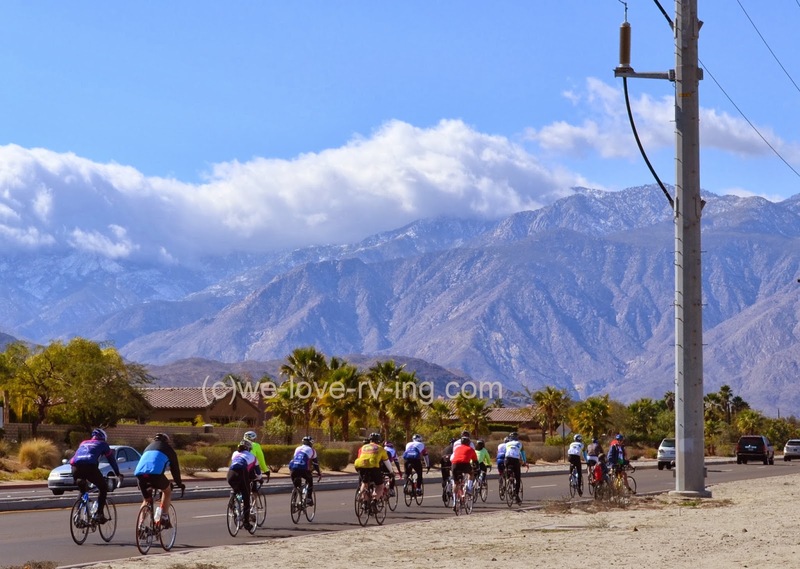 The event progressed with a bigger ride the following year in 1999 by the new name of Tour de Palm Springs and it hasn’t looked back with funds raised in excess of $1,000,000.00. The event brings cyclists in from all over the country. Although there are many markings to make us aware of this event, caution is recommended when driving past any cyclist. 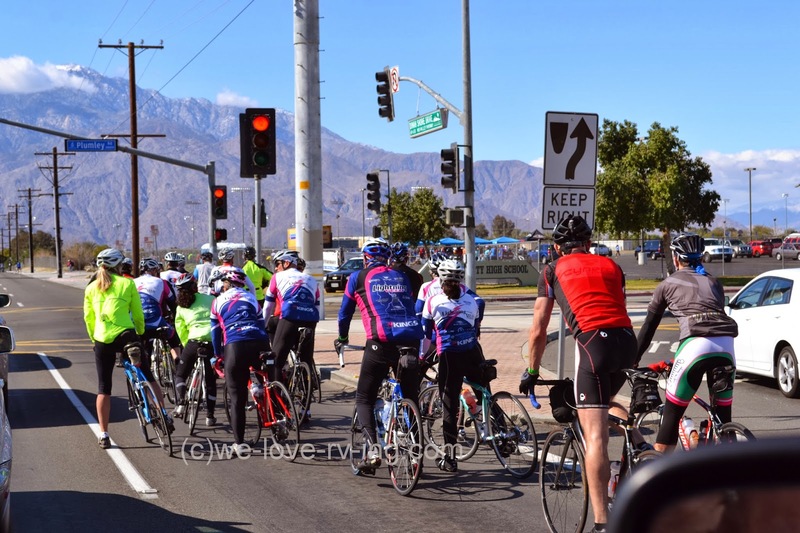 There were over 30,000 riders and although that covers several different routes at varying times, it still causes some congestion at times. The shortest route is a 1 mile for beginners and other choices are 5 mi., 10 mi, 25 mi., 50 mi., with the 100 mile route added in 2001. There are 1,2 and 3 mile walks. A 3 wheeler is allowed as well as a buggy/cart for those taking younger children. There are several Support and Gear (SAG) stops along the way for food to make a sandwich, nutritional bars, water, bicycle support and if needed, First Aid. The weather can vary 21-26C (70-80F) in the Valley in February so heat can be an issue. Helmets are mandatory in California so they are worn by everyone and as many safety precautions as possible are taken. 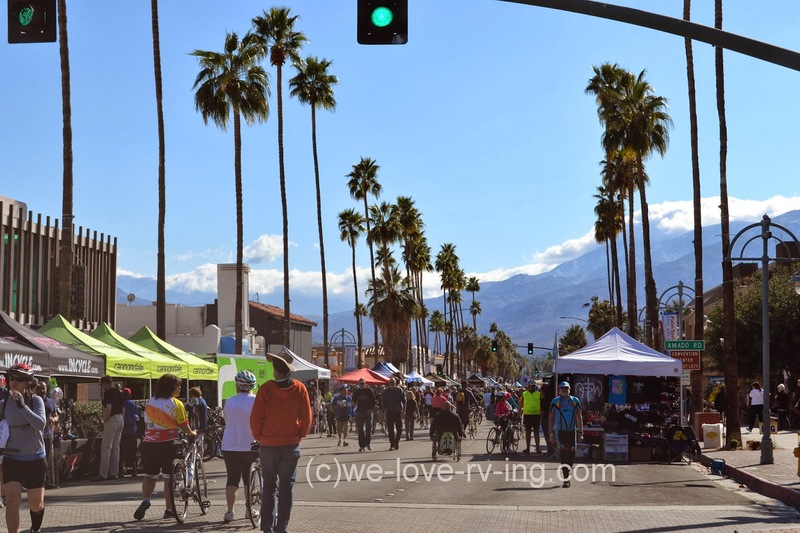 There are vendors lining the streets of Palm Springs during the ride event weekend, and offer information or product for sale. There is a free entertainment event offered on Friday night, raffle tickets sold for great prizes and lots of visits among riders. The MS booth was there to pass on information. 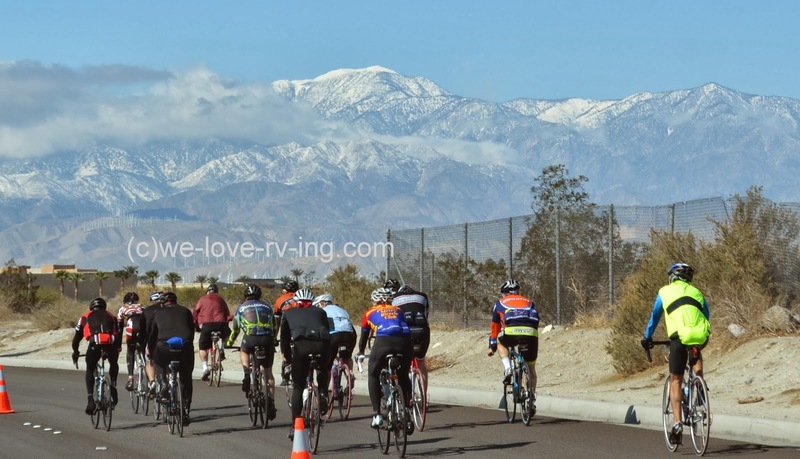 They benefit from the generosity of those who give to the Tour de Palm Springs. 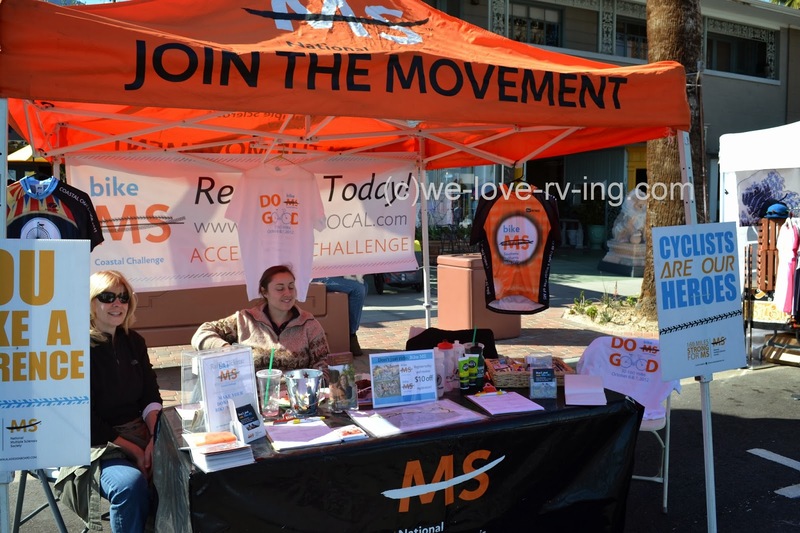 There is much research necessary for multiple sclerosis and we hope to see that day a cure is found will arrive soon. Click here to learn more about MS in Canada or watch an interview with Jack Osborne on the American MS Society link. 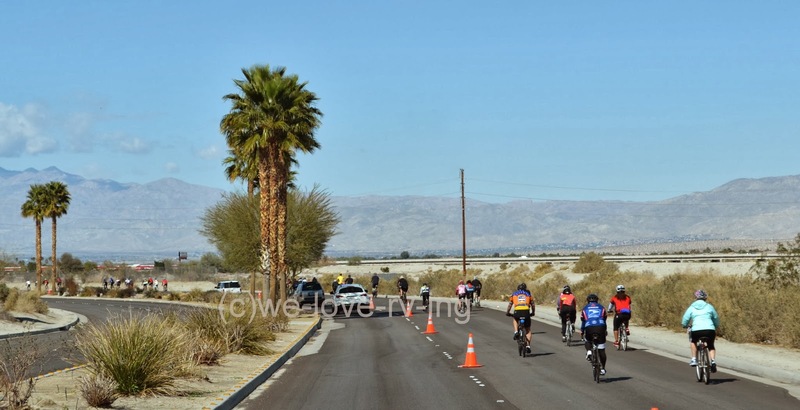 This ambitious charity event shows the heart of the Coachella Valley and the results of the hardworking volunteers and participants. It goes a long way in helping the charities in the area so we tip our hats to those special people who are involved. Always drive with caution when you see cyclists.